Afraid of missing out on the latest photo industry news while you’re out, well, actually taking pictures? Photography News of the Week is all the news you might have missed this week, published on the weekends. Alongside the biggest stories of the week, like Canon’s new instant cameras, the new Sony RX0 II, and the Sony a9’s new A.I.-powered autofocus, find briefs on the latest in accessories and photography news from this week. Love light leaks, flare, and bokeh? New variable prism filters from Prism Lens FX are designed to make adding creative in-camera effects simpler. The variable filters allow users to position different effects around the image using a traditional circular filter design with a few non-traditional elements thrown in. The prism filter adds broken pieces of glass to catch the light to create bokeh and flare to the image. Meanwhile, the chromatic flare filter creates anamorphic or streak flares and the split glass filter creates light leak effects. The manufacturer suggests using all three with telephoto lenses that are 50mm or greater, with wider apertures of at least f/2.8. The filters are expected to start shipping next month and are available for pre-order for $75 each. It’s worth noting, however, that there are some do-it-yourself hacks such as using fishing line to create anamorphic flare. The Canon EOS R will soon be able to grab focus on the eyes even while shooting in continuous autofocus mode. According to Canon South and Southeast Asia, version 1.2.0 firmware will bring the feature to the EOS R next month. The update will also support continuous autofocus with the small AF frame size selected, as well as correcting a handful of bugs. One-handed gimbals are becoming more common — and now there’s an option to add more stability and long-term comfort to the growing video accessory. The Tiffen Steadimate-S, launched this week, turns single-handed motorized gimbals into body-worn stabilization by allowing them to be adapted to Tiffen’s Steadimate vests. 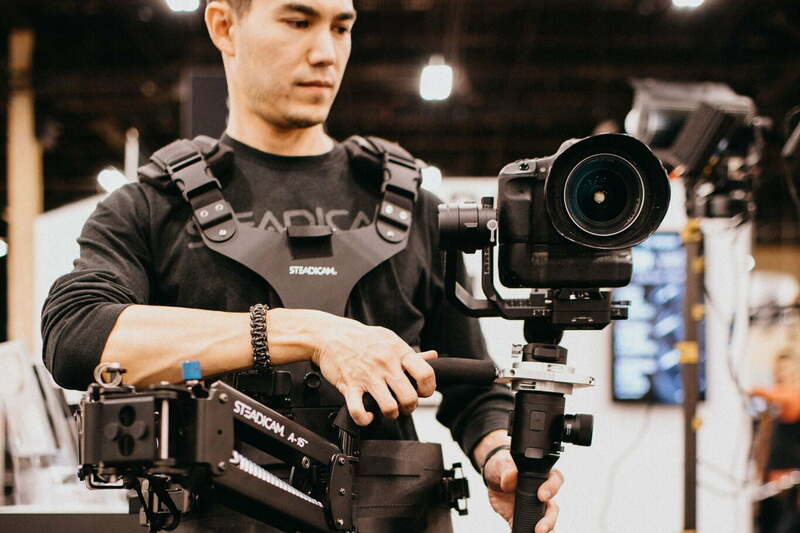 Tiffen says the Steadicam Steadimate-S makes the smaller gimbals more comfortable to use for long shoots while still allowing the videographer to move the camera around. The accessory also adds Z-axis stabilization, offering smoother performance for gimbals that are typically just X-axis and Y-axis stabilization. The accessory fits gimbal arms with a 0.5-inch post like the DJI Ronin-S. The accessory negates some of the perks of the more budget-friendly gimbals, however. Available in 15-pound capacity and 30-pound capacity versions, the Steadimate-S adapter is $500 and needs a pricey vest, too. CyberLink’s photo editor Photo Director 365 has a handful of new tools, thanks to an update launched this week. The photo software now has FaceMe tagging using facial recognition to find images of specific people. The update also adds one-click alignment for layers, as well as new Frame Packs and Express Layer Packs. The company’s video tool, PowerDirector 365, adds dual preview windows for faster edits. CyberLink also added snap alignment to help align titles, masks, and other objects. The update also integrates new custom hotkeys, enhanced multi-screen support, and new add-on packs. The updates are available now for subscribers. Director Suite 365 is available for $130 a year or $30 a month. Flash is one of the more complex photography skills to master, but lighting company Profoto is hoping to encourage more photographers to try off-camera flash with the Connect, a simple trigger that is button-free. The Profoto Connect has three options — auto, manual and off. 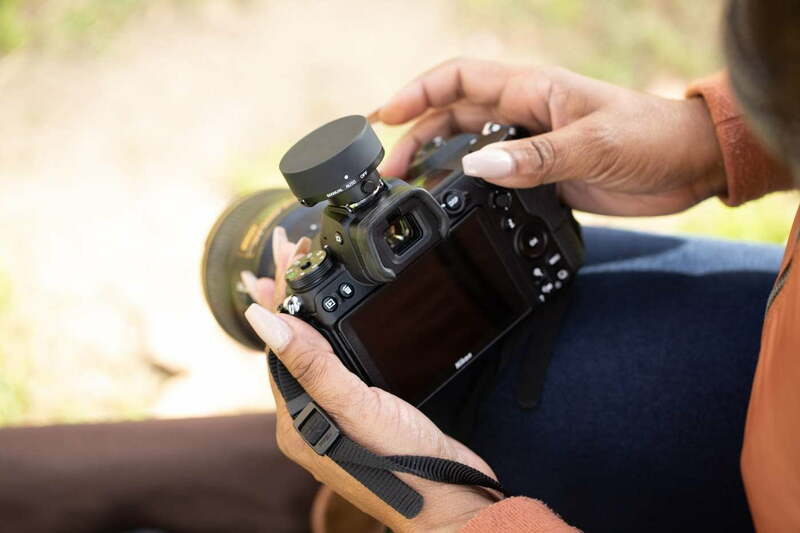 There are no other buttons on the body to bump, while connection to the Profoto app offers for more options for adjusting settings, including eight channel options. The Profoto Connect is compatible with the Profoto AirTTL lights. The trigger also uses a rechargeable battery. The Profoto Connect is available for Canon, Sony, and Nikon systems, retailing for $300.